So this is what I'm working on at the moment: volume #5 of Dr Muscles, by Austin Tinius. 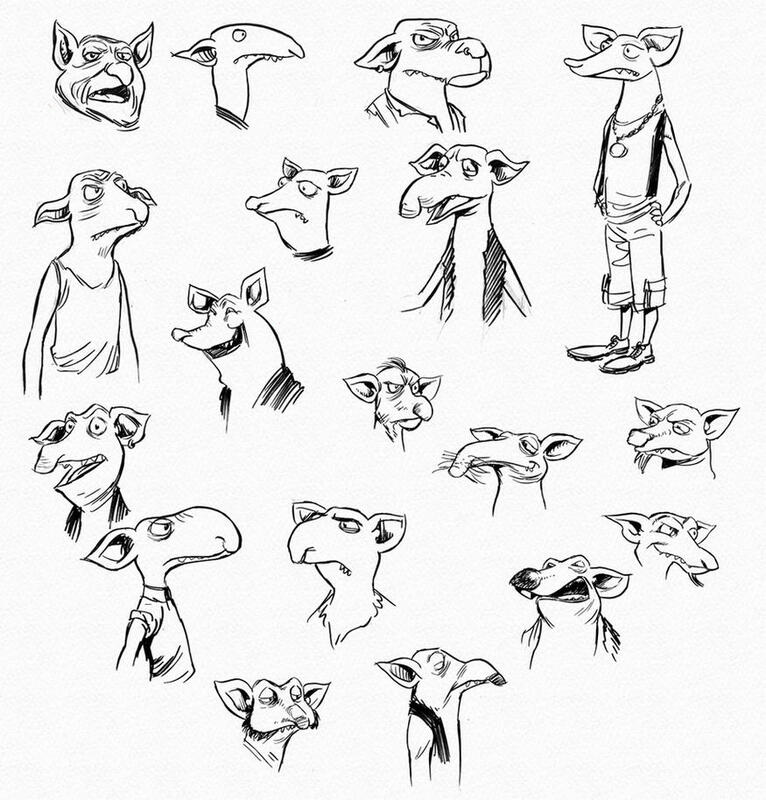 This is the first time I drew something like anthropomorphic animals - this whole story is a new challenge for me! Stay tuned. One of my favourite comics ever is The Calling by Reiko Okano, an adaptation of the novel The Forgotten Beasts of Eld by Patricia A. McKillip (in Italian, La maga di Eld). I fear that Okano's adaptation has never been translated into English, but it would be totally worth it. You can read an article about it here. Okano's drawings are the very essence of lyricism, ethereal-ness and otherworldliness. I was as in awe when I first read it, ten years ago, as I am today. I wish it was universally considered a masterpiece. In her afterword to The Calling, Okano writes that she first read The Forgotten Beasts of Eld when she was almost 20, and that it was the novel that pushed her to become a mangaka. "To achieve my dream [to give a visual dimension to McKillip's novel], I will become a comic book artist, and to master the art of drawing, I will illustrate anything, no matter its subject." So I took this decision, and for the next 10 years I drew any kind of subjects, from monks to sumo wrestlers. Being able to represent those magical beasts became closer little by little. Okano's words came back to my mind. In the last eight months, I've drawn things I'd never thought I would draw before. I was extremely lucky in that. Although you've been able to see only a small portion of what I've drawn during this year, I know that it has made me a better artist than I was before. And this was able only because of the people who trusted me with their works, and whose I have to humbly thank. I know that, during this period, I've almost stopped drawing my own stories and sparse illustrations. I know. It's not that I wouldn't like to do them again. But I'm training to make them better one day, hopefully. I also needed some time without personal involvement in what I was drawing. Please follow me in my journey.